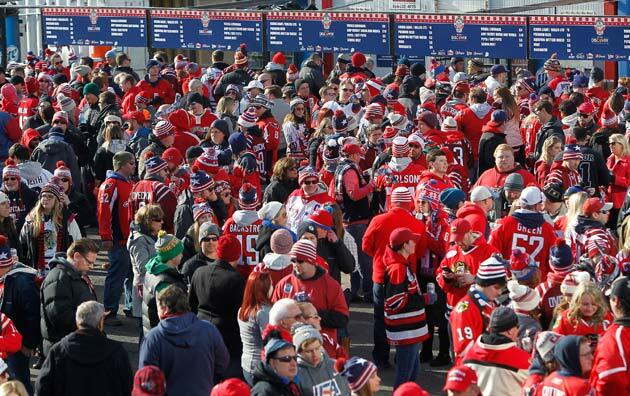 Photos and tweets from 2015 Winter Classic at Nationals Park. 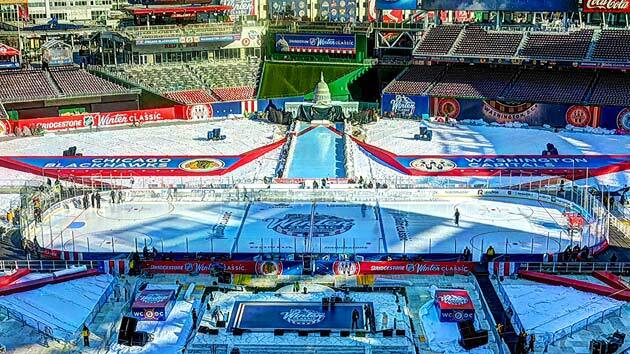 Selected visual wonderment from the big New Year's Day game between the Blackhawks and Capitals at Nationals Park in Washington, D.C. 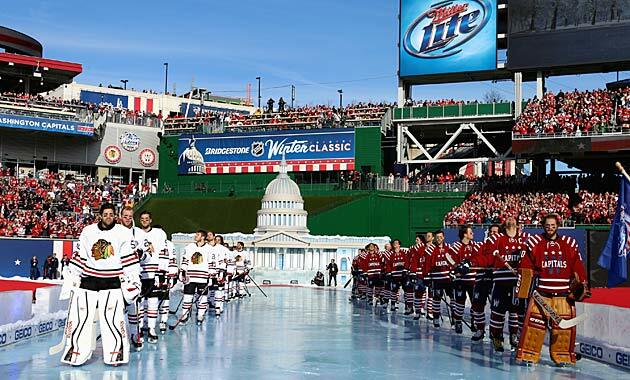 Final score: Capitals 3, Blackhawks 2 on a Troy Brouwer goal with 12.9 seconds left in the third period. 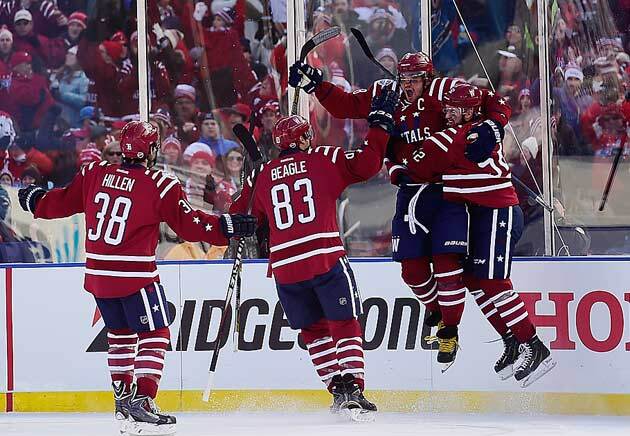 Classic finish: Troy Brouwer proved to be the hero in the final ticks of regulation. Mike Green of the Capitals sends a shower of chips into the air. Ice quality has been good. Brandon Saad tied the game 2-2 with his goal in the second period. Both Corey Crawford and Braden Holtby have been outstanding. Blackhawks goalie Corey Crawford looks for the puck after stopping a shot. 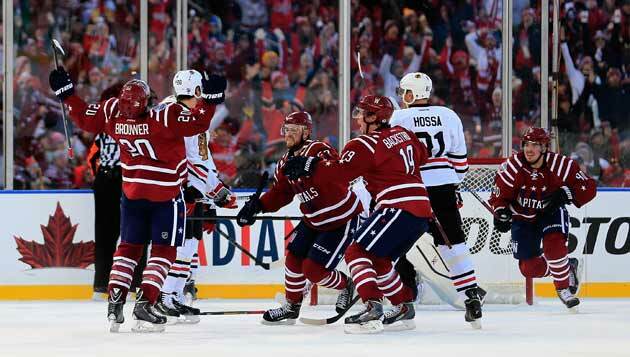 Jonathan Toews (19) and Andrew Shaw (65) celebrate as Patrick Sharp (not pictured) puts Chicago on the board. 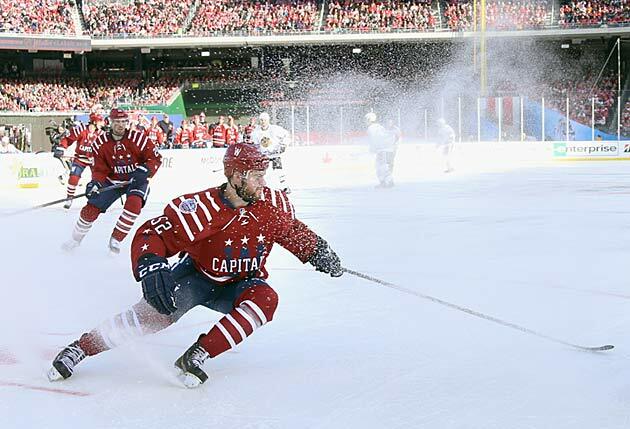 Capitals captain Alex Ovechkin put his team up 2-0 at 11:58 of the first. Eric Fehr opened the scoring by beating Chicago's Corey Crawford at 7:01 of the first period. 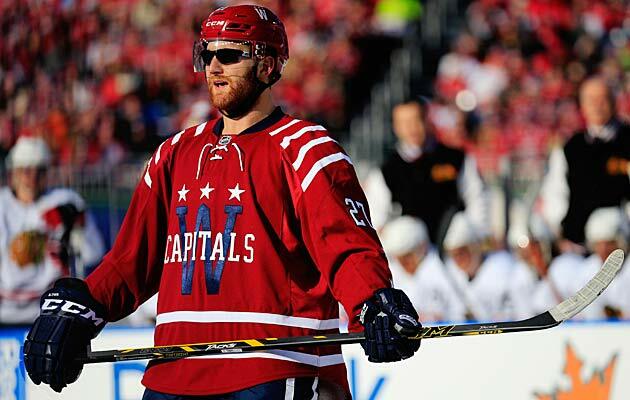 Washington's Karl Alzner looking cool in shades. The teams are introduced on a sun-splashed afternoon. The Blackhawks warmed up with a little futbol. Sun will be an issue. Teams will switch ends halfway through first. But could be worse. Rain this weekend -- and 64 degrees F on Sunday. 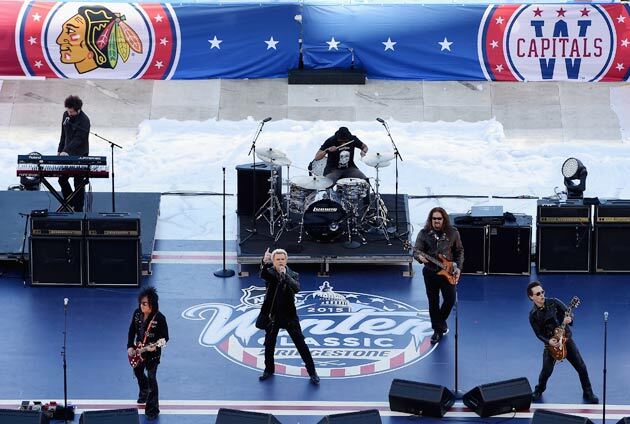 This is the third consecutive day I've seen Billy Idol sing "Rebel Yell" live. That's gotta be some sort of record. 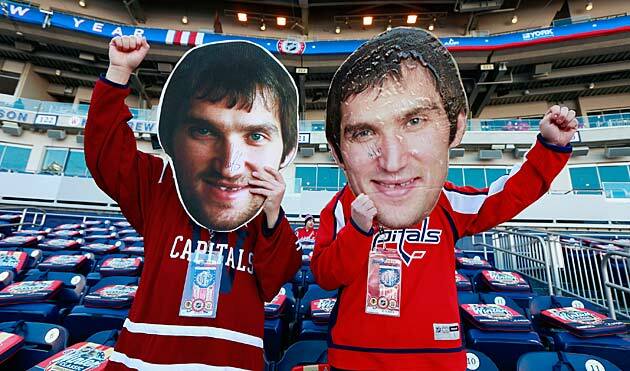 A pair of Ovechkin fans showed up early. 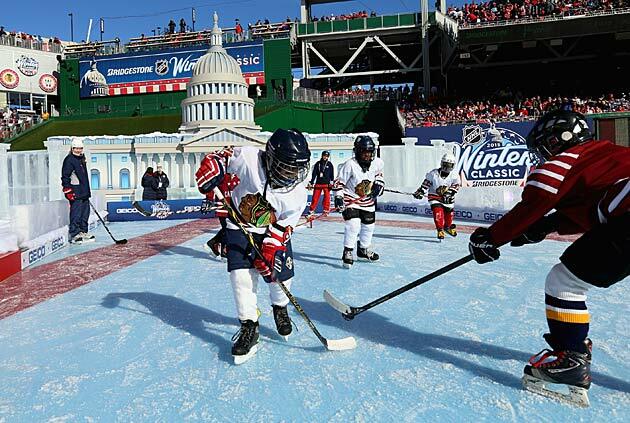 Pregame festivities featured a little shinny between youth league teams. 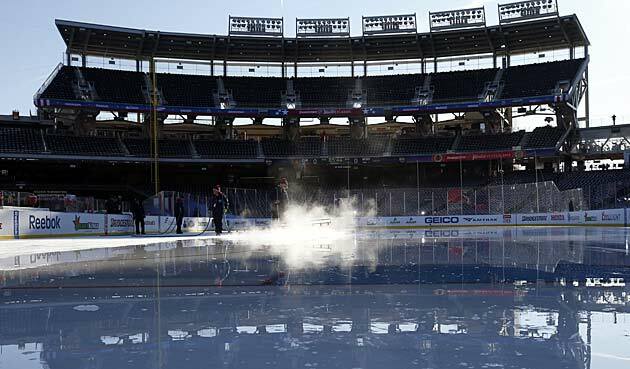 The crew sprays down the rink before pregame practice.